Phra Luang Phor Tuad - Who Was Thailand's Most Famous Monk? Phra Luang Pu Thuat Ghost Amulet. Our friend calls this the “Living Ghost” amulet, but not sure that’s the accepted name. Luang Pu (respected father, in Thai) Thuat was born in Songkhla province in Southern Thailand in 2125 BE (1582 CE). Luang Pu’s parents were poor farmers of Chinese descent. They called their son Puu (Por)– this means ‘crab’ in Thai. Both of his parents were devout Buddhists, and they were likely delighted when their son began to express an interest in spirituality at an early age. Luang Pu Thuat Ghost amulet. 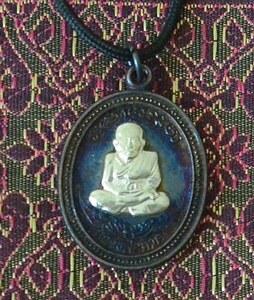 We have only 2 of these Luang Pu Thuat Silver Ghost Amulets left. One of the first signs that Puu was special, occurred when he was just 6 months old. His parents were working in the rice fields, and they left their baby lying on a blanket, under the shade of a tree. At noon his mother returned to find her son had a large reticulated python curled around him. At first she panicked, but then she noticed that her baby did not seem to be in any discomfort. She then remembered a story from her childhood of how the gods can sometimes come to Earth in the form of a snake. Instead of trying to chase the snake away, which would have been too dangerous anyway, she found some flowers and put them in front of the reptile. The snake responded by moving away from Puu, but before leaving, he spit out a crystal ball that the mother then kept. There is another legend involving the crystal ball that had been left behind for Luang Pu Thuat’s family by the snake. A rich man heard the story of how they had obtained this precious item, and he became envious. He forced the mother into selling it to him. The rich man initially felt delighted with his purchase, but then one by one his family became ill. He sought help from a spirit doctor who told him that the crystal ball would bring bad luck to anyone except Puu. The rich man knew he had no choice but to return it. Luang Pu Thuat’s family ensured that he received substantial religious training as he grew up. From age 5, he began to attend lessons on dharma at his local temple. 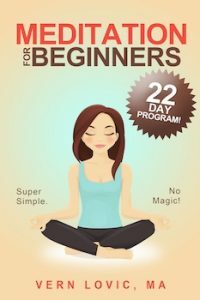 The monks there were amazed at how quickly and deeply he could absorb his lessons. Within a couple of years he had mastered all teachings that the local monks could offer him, and he started visiting temples far away from his home in order to receive additional training. It came as no real surprise that when he turned 12 years of age, he ordained as a monk. He spent his early years as a monk living at Wat Pakok in Songkhla province. Even though traveling around Thailand in those days was difficult, it was common for monks to visit temples in other parts of the country. One of the most famous stories about Luang Pu Thuat involves a trip that he decided to make to Ayuthaya – this was then the capital of Thailand. He needed to make the first part of this trip by boat. His ship was sailing up the coast in the Gulf of Thailand when they got caught in a terrible storm. The weather became so severe that the crew began to panic. The storm lasted for days and they ended up getting lost at sea with no fresh water to drink. For some reason they began to suspect that the cause of their misfortune was Luang Pu Thuat. They talked about throwing him overboard until the monk performed two miracles – he caused the sea to become calm and he turned the seawater around the boat into fresh drinking water. All thoughts of throwing him overboard were forgotten after this. Ayuthaya was the center of Thai Buddhism back in those days, and Luang Pu Thuat had high hopes of what he could learn there. He arrived at one of the large monasteries in the city but was turned away because he looked so disheveled. Luang Pu was forced to search Ayuthaya for a temple that was willing to admit him, but eventually he found an old rundown monastery that offered him a place to stay. Legend has it that at this time there was a sense of rivalry between Thai and Sri Lankan Buddhists. The King of Sri Lanka offered to give Thailand’s leaders boats full of gold if they were able to solve a certain Buddhist puzzle. All the senior monks in Ayuthaya failed in this task, but eventually it was solved by Luang Pu Thuat – this ensured his fame as a monk. Luang Pu Thuat returned back to Songkhla as a famous monk – he also had His Majesty The King’s blessing to restore Pha Khoh temple which had fallen into ruin. He eventually became the abbot of Wat Changhai in Pattani. Luang Por became renowned for his psychic powers, and many miracles are attributed to him. He died when he was 120 years of age. Even after Phra Luang Pu Thuat died, he continued to help his followers. Monks staying at Wat Changhai and elsewhere began to experience intense dreams where they would meet this spiritual teacher in other realms. They felt compelled to make amulets of him, and they found that these could bring good fortune and protection to the wearer. Phra Luang Pu Thuat continues to be one of the most revered monks in Thailand. Any visitor to Thailand is sure to come across pictures, posters, drawings, and statues of him – he is usually depicted as an old man seated in meditation and hunched over – with brooding shoulders. His amulets frequently depict him in black, he was very dark, and the black also signifies an aura of mystery surrounding him. In Phang Nga on the road to Phuket, there is a very large statue of Luang Pu Thuat, Krabi has one, Ubon Ratchathani also has one. 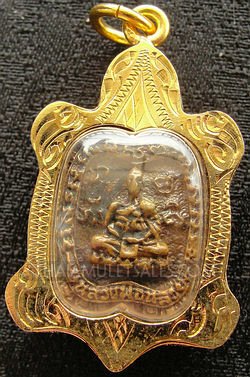 Amulets of Phra Luang Pu Thuat are among the most popular in Thailand. 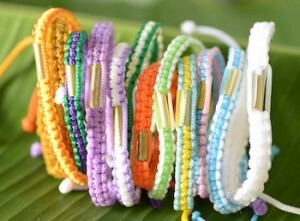 They are also desirable objects for people in Malaysia and other parts of the world. We sell a lot of amulets with his image, we find them at the Buddhist temples near our home in Southern Thailand. 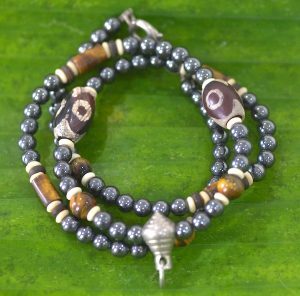 You can hear many Thai stories from people who feel certain that wearing a Phra Luang Pu Tuad amulet has positively impacted their life. These days there are many versions of this amulet, and those that have a history of bringing good luck are the most expensive to buy.